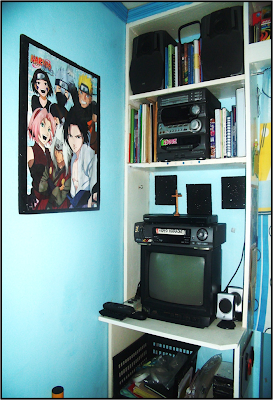 I would like to commend my son for having neatly arranged his blue themed bedroom. 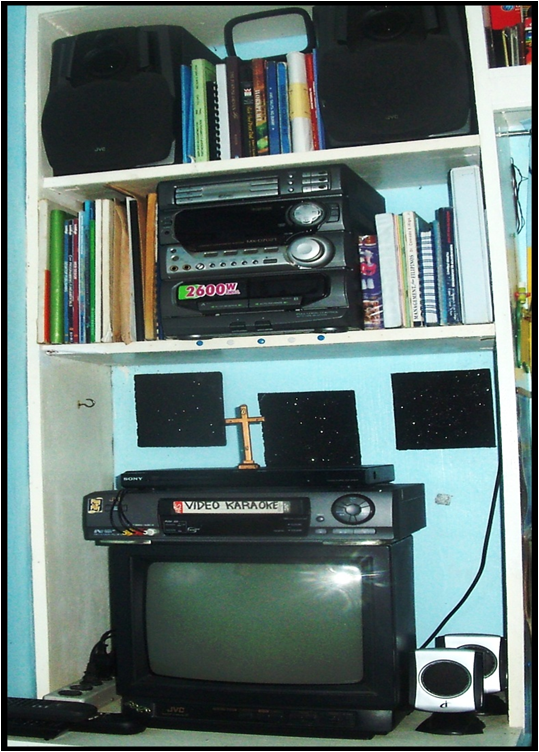 He was able to fix his book shelf and entertainment corner as neat as possible. He himself framed all his posters in the room. Naruto is his theme for his bedroom and his color motif is a combination of light blue, white and black. Hmmm...way to go son! You're slowly adapting my passion for decorating. I'm sure we have a lot more projects to work together when I reached home by Monday. Wow! Ang bait naman ng son mo ate Kriz! May namana talaga sau :) Good luck sa trip mo! Thank you ladies! Well...I guess mukang ganun nga because I could see at this early how he loves to decorate and fix the house.